You’ve decided to sell your house on your own, and you realize there will be some costs involved. It is true that home prices are rising in quite a few markets nationwide. It may also be the case that your home has appreciated considerably over the years. But before you count your profits, you’ll need to factor in these obvious and not-so-obvious costs of selling your house. Let’s get this one out of the way right off the bat. A lot of sellers think that in a hot market they can sell a house themselves and thus avoid the standard commission fees. But the truth is otherwise. Even if you sell your house on your own, you still have to pay the buyer’s agent’s brokerage fees. This is going to cost you roughly 3%, plus any Realtor fees that may be associated with the sale of the property. So if you’re selling a $300,000 house with a 3% Realtor commission, then you’re looking at paying $9,000 in Realtor fees. Most buyers aren’t interested in a house that has problems – and most houses have some kind of issues. Most of the time, most sellers have to do some repairs before they put their house on the market. And if the maintenance has been allowed to lapse, these repair costs can be fairly substantial. 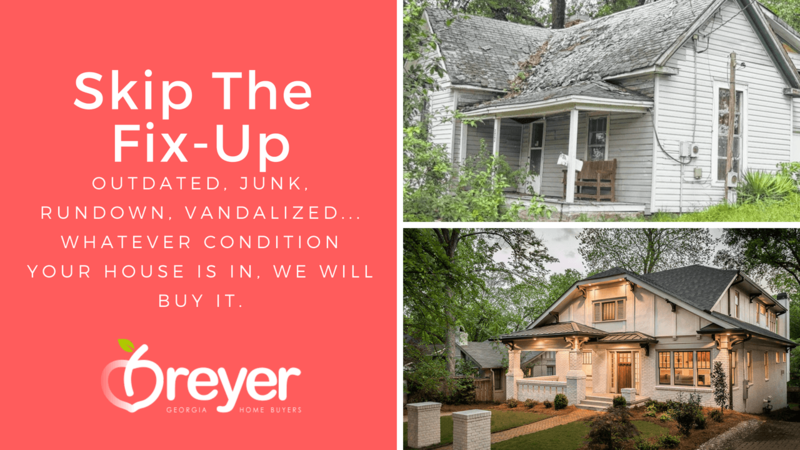 Curb appeal is of utmost importance: it’s what gets potential buyers to stop and then come in the door. And landscaping is the number-one improvement that most enhances curb appeal. The cost of a thorough, full-blown landscaping job performed by a professional landscaping service runs, on average, just a little over $3,000. If you’re looking to upgrade your landscaping yourself, here’s a list of 5 Awesomely Easy Landscaping Projects that are going to add a massive boost to your curb appeal. 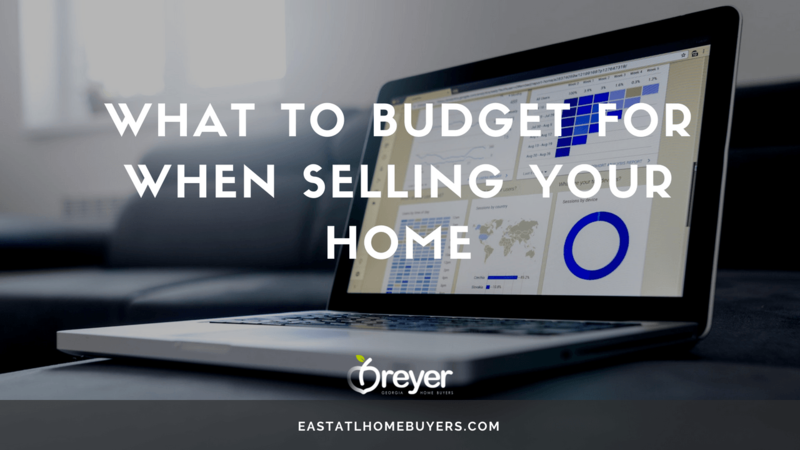 Many people – when asking themselves, “What should I budget for if I sell my house on my own in Atlanta?” – often neglect to factor in this expense. But if you don’t want your house to sit on the market for months on end, you probably shouldn’t neglect staging and professional photography. Staging involves setting up and arranging your home so that it appears as appealing and inviting as possible. And then to display the staging in online listings, which is where a large percentage of buyers begin their search, you will likely need some professional photos, ranging in cost from $500 to $1,000. If you plan to move out of your current house into a new home, you can’t just shut the utilities off in the home you vacate and intend to sell. Buyers absolutely do not want to walk through a cold (or sweltering) and dark house. Also keep in mind that if you turn off the electricity and air conditioning during the summer, you run a high risk of developing a mold problem. So, at the least, you will need to keep the electricity on and probably the gas as well in the wintertime. If the house is one you’ve been living in, then you already know what it will cost you to keep the utilities on. And then there are capital gains taxes. If your house has appreciated quite a bit, you may have to pay this tax (which is based on the difference between purchase and sale prices, minus the cost of documented improvements). There are, however, some pretty generous exemptions, but just bear in mind that Uncle Sam may take a cut. 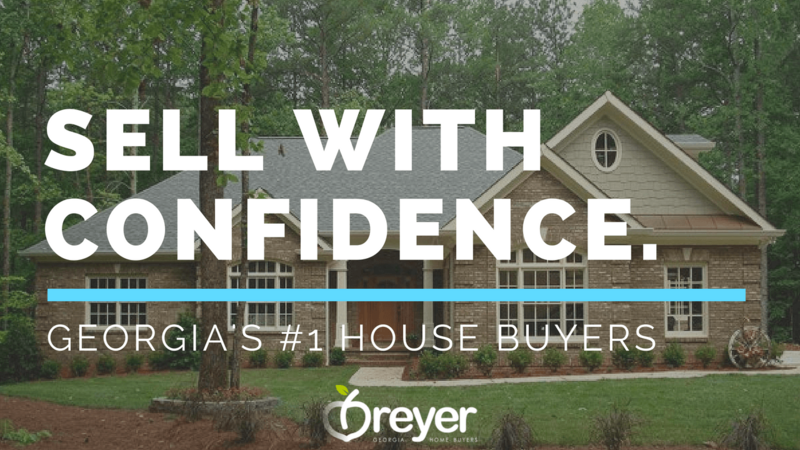 So if you’re wondering, “What should I budget for if I sell my house on my own in Atlanta?” you now know the answer is . . . quite a lot, actually. But we can offer a fast, easy solution that may allow you to keep more of the sale price. Contact us by phone at (770) 744-0724 or fill out the form to discover more.